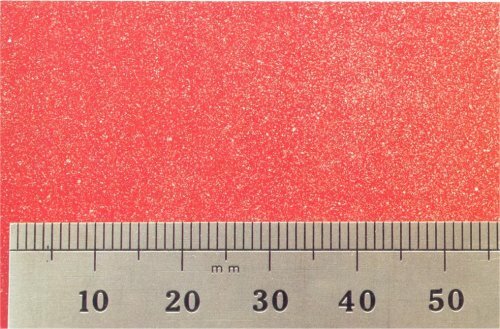 Areas of granular paint particles adhering to, or partially absorbed in the surface of the film. b) Paint from a subsequent application settling on the surface. c) Compressed air pressure too high. d) Inadequate extraction or ventilation. a) Mask carefully and completely, ensure that the edges of masking tape are thoroughly sealed. b) Protect adjacent surfaces from spray dust. c) Set compressed air pressure as low as possible, consistent with proper atomisation. d) Use a spray booth, and ensure correct air circulation and extraction. Rub down with abrasive compound and polish.